Do you need to file a patent in India? Want to know the India patent fee calculation. We have just the tool and the perfect resource for you. The Firm has qualified attorneys with expertise and vast experience in litigation, appearing regularly in all forums in India and representing diverse range of clients. The team is trained to work efficiently with the various specialist teams within the firm to provide accurate legal representation to our clients in commercial disputes, regulatory matters and intellectual property proceedings. Our emphasis is to align our litigation strategy with the commercial interests of our clients. We have extensive experience in handling complex commercial disputes and have advised and represented clients on a range of disputes relating to equity and debt investment, corporate laws, intellectual property laws, employment laws, competition laws and on bi-lateral investment treaty disputes. We have provided key pre- litigation strategies to clients in industries such as media, entertainment, infrastructure, pharmaceuticals, franchising, machinery & equipment manufacturing, outsourcing and financial services. This diverse expertise has enables us to provide our clients to provide accurate and efficient advise. The Firm has represented clients before various regulators both at central and state level as well as appellate tribunals constituted under various statutes. We appear before the Supreme Court of India, various High Courts in India, various lower courts, the Company Law Board and IPR Tribunals as well. The Firm is further well networked domestically as well as internationally and has collaborations with various senior counsels and international associates in order to strategically safeguard the rights of its clients as and when required. Our strong network of local counsels assist us in attending to the disputes in a wholesome and efficient manner. Our clients benefit from our ability to attend to matters in any jurisdiction, and seamlessly adopt local practices and procedures in handling any matter. The Firm not only advises its clients in relation to litigation but also encourages them to resolve disputes by way of alternative dispute resolution mechanisms, wherever feasible, for speedy and cost effective resolution of disputes. We strive to provide its clients with creative, pragmatic solutions and effective dispute resolution strategies. We handle a wide variety of corporate-commercial and regulatory disputes in diverse sectors. We have specialized teams with deep sector knowledge who are providing strategic advice to the clients right from the pre-dispute stage. We like to ensure that the approach to dispute resolution is closely aligned with the clients’ commercial and business objectives. We have strong expertise in handling corporate frauds, white collar crimes/economic offences in various matters related to violation of foreign exchange laws, securities law, import-export norms, data theft, intellectual property theft, breach of fiduciary responsibilities, corporate defamation, corporate law non-compliance, money laundering, and corporate corruption. We have advised and assisted clients in several investigations, litigations and pre- litigation strategies in these areas and have represented them. We have represented several clients in employment litigation cases. Our service includes advising clients on the litigation strategy, drafting and issuing legal notices, responding to legal notices, drafting claim documents representing the clients before labour courts and high courts, and coordinating with local counsels to pursue litigation in appropriate courts across India. 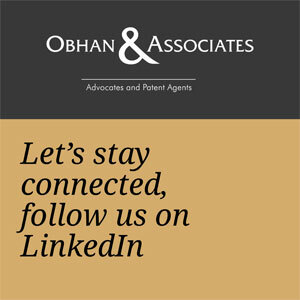 The patent litigation practice in O&A is comprehensive and covers all aspects of intellectual property disputes arising in various technologies. The IP team’s deep understanding of patent law in different jurisdictions, coupled with knowledge of science and technology, enables this team to consistently deliver positive results to the complete satisfaction of clients. The team handles patent infringement and related litigation issues, patent appeals and opposition proceedings, investigation, pursuing criminal remedies and civil infringement litigation among others. We assist clients in responding to cease and desist notices and devising strategies for both Indian and cross border dispute resolution mechanisms. O&A represents a broad variety of clients including some of the leading Indian and global brands in trademark enforcement and protection matters. Our experience includes handling opposition proceedings, revocation and rectification matters, appeals, criminal and civil suits for infringement and passing off, anti-counterfeit action, finding potential infringers and handling trademark, trade dress, misappropriation and unfair competition cases. The Firm manages worldwide trademark portfolios for a number of its clients, overseeing the protection and enforcement of their trademark rights in India as well as internationally. We enforce and maintain the integrity of our client’s marks and the team strategically and promptly takes appropriate actions through the use of temporary restraining orders, seizure orders, and preliminary injunctions. Our copyright team is renowned for its experience, flexibility and knowledge of creative industries. O&A has a reputation for offering comprehensive services to a wide range of clients, ranging from the film industry, artists, publishers to companies. We have addressed numerous challenging issues involving bringing the works of clients within the copyright framework. We offer an intuitive understanding of their work and innovative application to offer customized services. The Designs Act, 2000 allows the protection of outward appearance of products, which could be in the form of shape, configuration, pattern, ornament or composition of lines or colours. The Act being in its nascent stage raises ample scope for interpretation and litigation in the form of revocation proceedings or enforcement, including investigation, infringement actions and border protection. O&A represents both domestic and international clients in design infringement proceedings and passing off actions before the Controller of Designs, tribunals, the Intellectual Property Appellate Board, as well as in matters before the various courts in India.